Figure out your style and what you can build yourself. 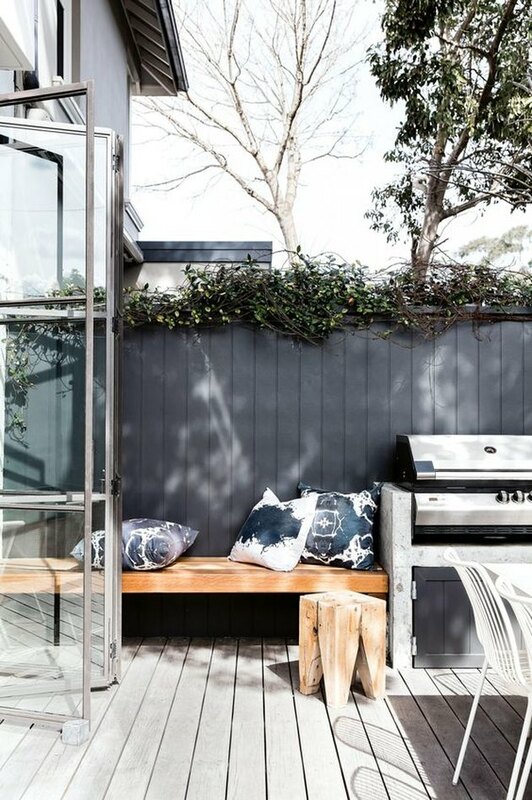 Creating a sleek BBQ island or integrated seating that fits into your yard decor is important, so spend some time to find the style that is right for you. It is important to note that by doing it yourself, you can definitely save a lot of money, but be prepared to invest some time. 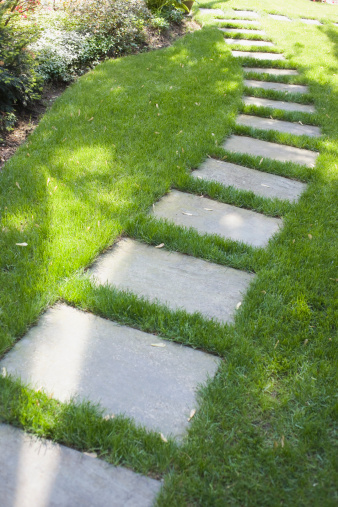 Most projects will take a few weekends to complete and do require some basic building skills, but the finished look will be completely worth the effort. Ditch a top-of-the-line grill for a DIY option. 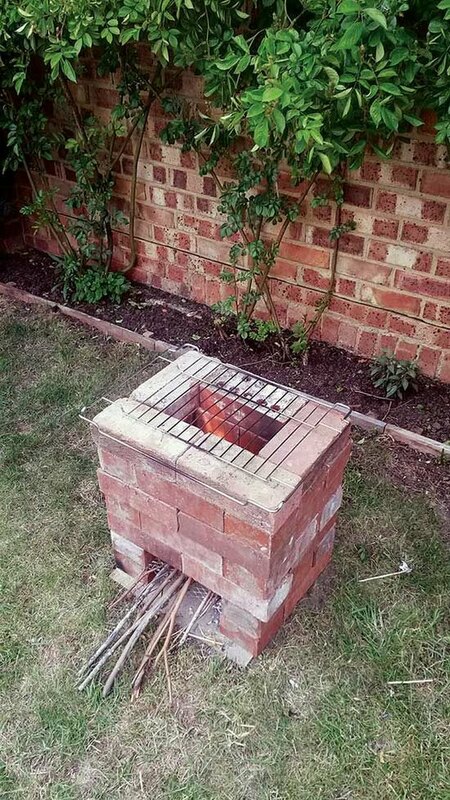 For a rustic look, a brick grill works well and won't require a gas line. Plus this step-by-step set of instructions that are straightforward and easy to follow. Cinder block BBQ islands are another way to go and look far classier than their humble building materials suggest. Sturdy and fireproof, cinder blocks are an inexpensive way to create an eye catching patio center piece and are easily found at most local hardware supply stores. Stone veneer is a fantastic alternative to cumbersome stone work and is not difficult to install. Since the overall square footage needed to be covered is relatively small, eBay has great prices. Or you can ask your local hardware store about sales. Make sure you spend money on functional decor. 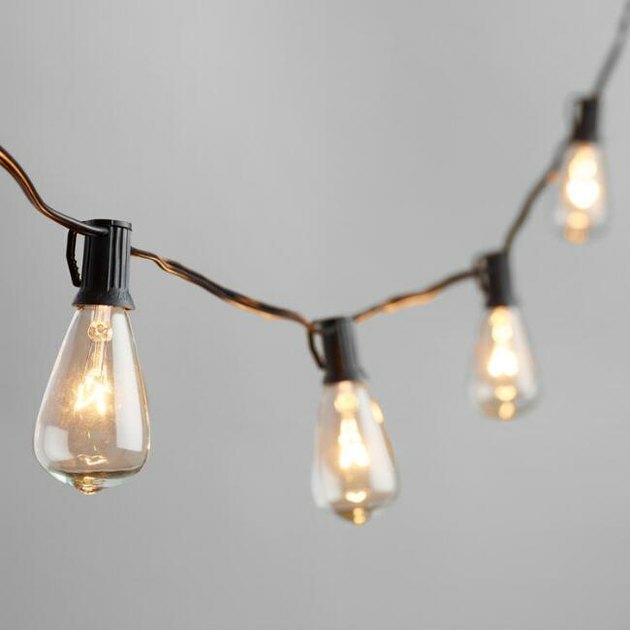 Lighting is key when cooking whether you are inside or out, so brighten up your grilling area with some festoon lighting like this from World Market starting from $19.99. A bar cart that lives next to the grill will make entertaining and mixing cocktails a snap. 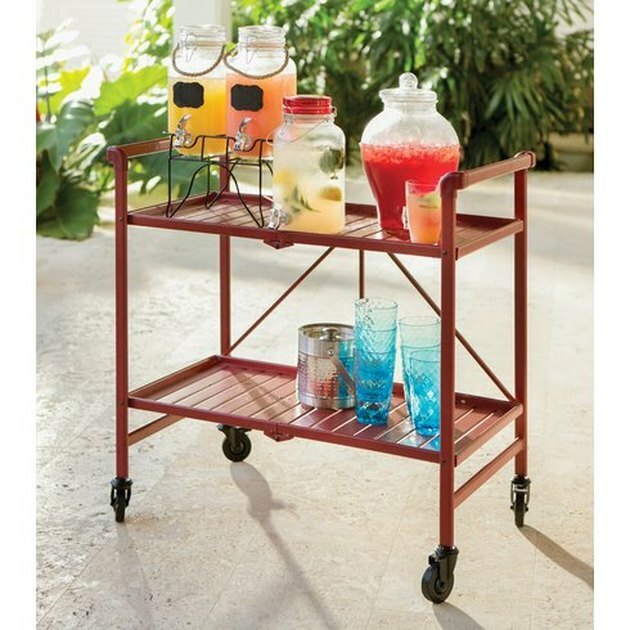 Put together a cart with wheels like this one from Wayfair ( $83.99 ) and it can do double duty inside and out. 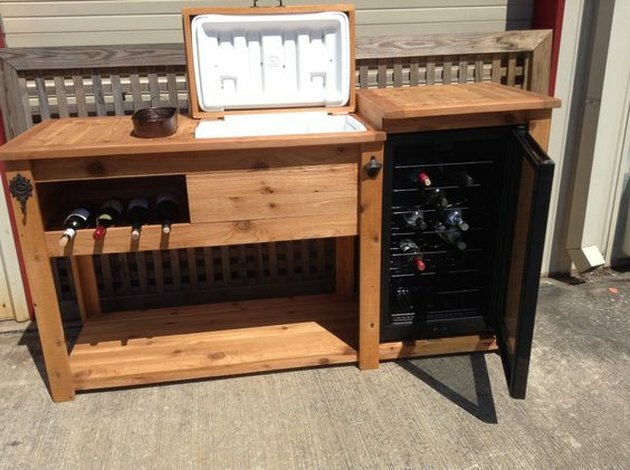 If you are handy enough and building a custom piece, you can avoid having a pricey (and unsightly) outdoor fridge by creating a wood enclosure for an everyday cooler. Check out this DIY to get started. 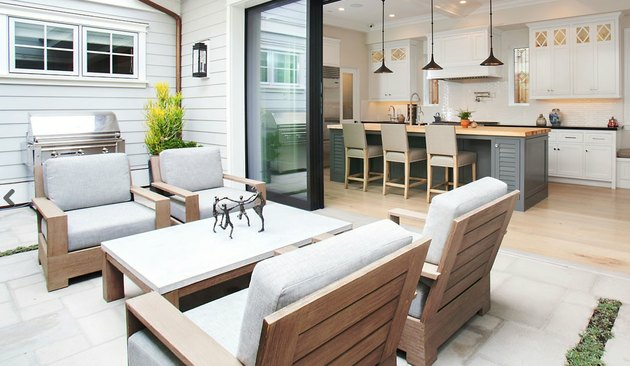 Know when to shop for patio items to find the best deals. Finding good deals can be challenging, but online retailers like eBay and Amazon will have great prices on both new and used outdoor items. Take advantage of hardware chain stores like Home Depot and Lowe's that have end-of-summer clearance and holiday sales. As the summer comes to a close, prices start to drop. Don't wait too long, though! 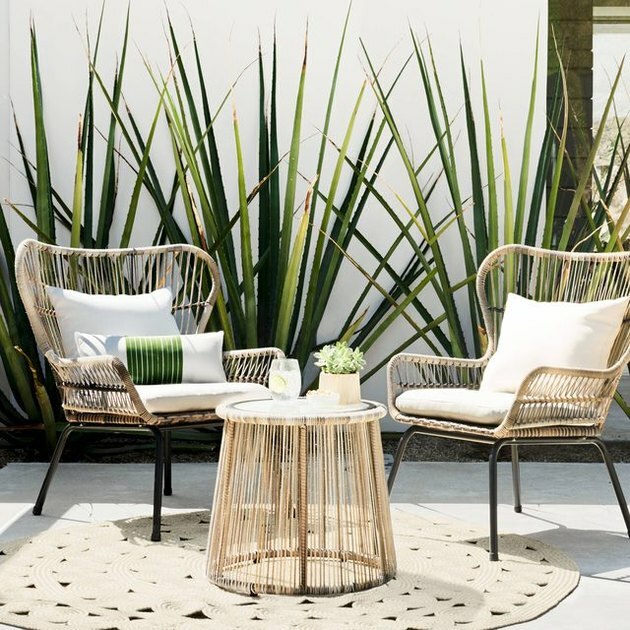 Once Labor Day sales are over, it becomes much more difficult to find back yard decor items. Be budget-conscious, but above, all, be safe. Choose a space away from any building structures or low hanging tree branches. It is usually recommended that grills have at least 10 feet of clearance from any nearby buildings, but your barbeque's manual will give you the specifics. Make sure the grill area is level. 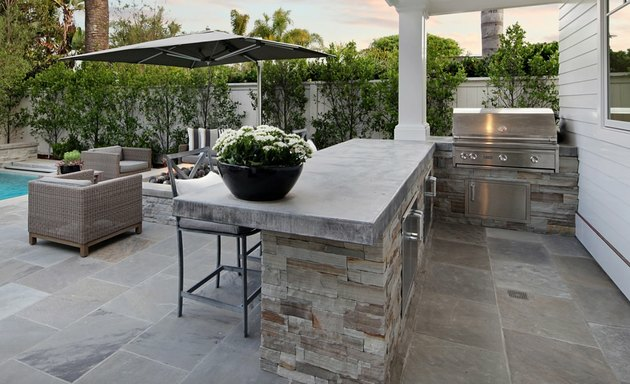 It is a good idea to build your BBQ island or grill on cement. Have a nearby source of water, like a spigot or hose, and always have a fire extinguisher on hand.